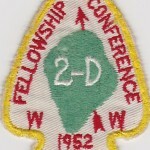 I recently acquired a used example of the pocket patch issued for the 1952 Area 2-D Conclave. 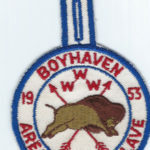 The patch does not indicate either the Host Lodge or the location where the event was held. Can anyone supply that information? 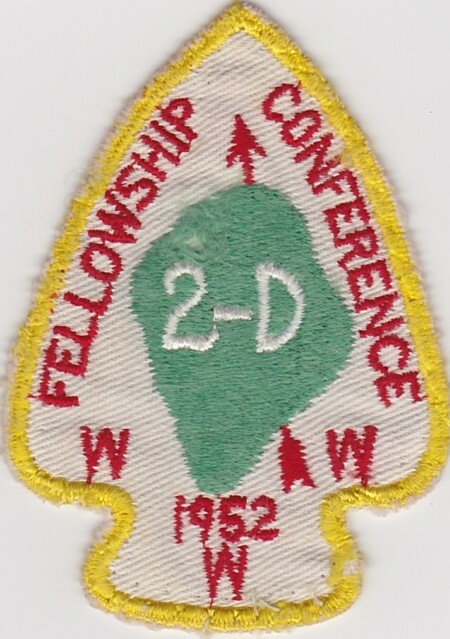 I also understand that there was a neckerchief issued for this event. Can anyone confirm that, supply a scan and or a trade for one?